Seventeenth book in Model Detail Photo Monograph series by Rossagraph is dedicated to American Studebaker US6 truck. The soft cover book is a bi-lingual release with al the text printed in both Polish and English. 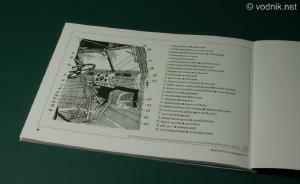 It contains 48 pages, 155 mm x 215 mm in size. The book starts with a table containing truck specifications (in metric units only) and a couple paragraphs long history of the vehicle, including a list of various variants produced. This truck, which lost US Army competition to GMC-CCKW 353, was popular among WW2 allies of USA and were used in large numbers by Russians. At the beginning of the book we find five black and white historical photos of Polish Army Studebakers used during 1940s. On following pages are photos of a very well preserved Studebaker US6. These start with a series of general views and then we get a lot of pictures showing all the details of the truck. Exterior, interior, engine and suspension details were photographed. Pictures are accompanied by captions in two languages. In addition to color and black and white photos there are also two drawings included, most likely from technical manual. One shows the layout of suspension components and the other identifies various details inside the cab interior. In total book contains 56 color and 56 b&w photos. The preserved truck featured on photographs is painted in US Army colors and markings, but they are most likely fictitious. There are spelling errors on some of the markings and US national insignia is not quite correctly painted, so while truck details can be used as a reference to improve models, markings should rather be ignored. Historical photos of trucks in Polish Army. Cab interior drawing, most likely from Studebaker technical manual. 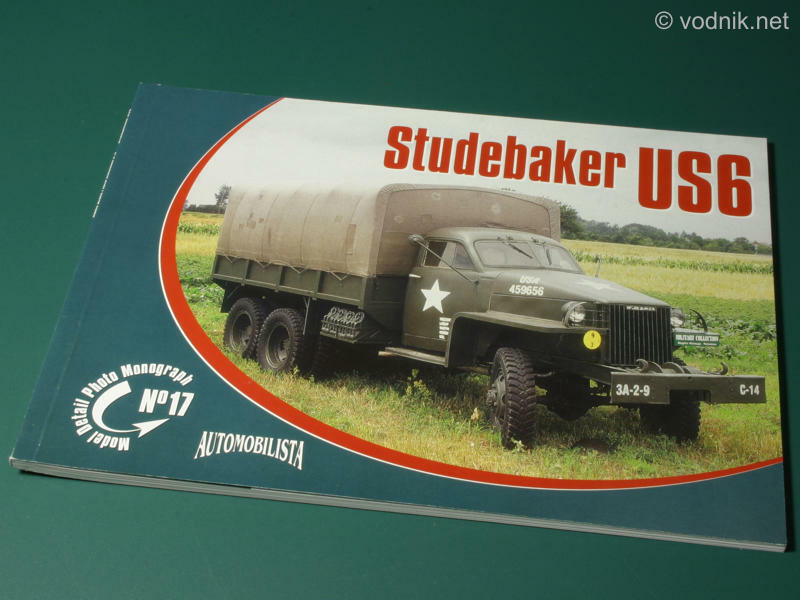 Studebaker US6 truck models are available from PST in 1/72 scale and from CMK in 1/35 (resin) and Rossagraph book is highly recommended as a great source of reference photos for all modelers building them.